For a savory flavor, slowly simmered with carrots, parsley, ginger & turmeric. 100% Human-Grade ingredients. Bone broth for dogs and cats. Filtered Water, Salmon Bones, Apple Cider Vinegar, Carrots, Organic Ginger, Organic Parsley, Lemon Juice, Organic Turmeric. 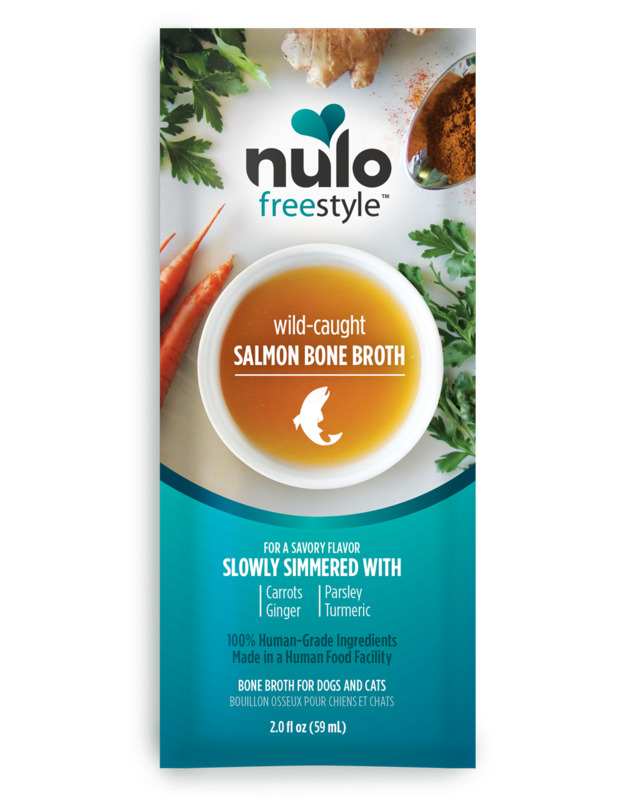 FreeStyle Wild-Caught Salmon Bone Broth are intended for intermittent or supplemental feeding only.